Ariana Grande and John Legend’s “Beauty and the Beast” Music Video Out Now! We are so excited to finally see the world premiere of Ariana Grande and John Legend’s “Beauty and the Beast” music video. 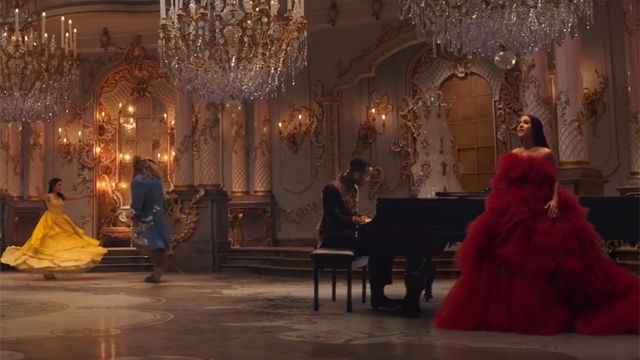 The video shows scenes from the upcoming Disney movie, featuring John Legend playing the piano inside a glamorous ballroom and Ariana looking like a true Princess in a red gown as she shows off her beautiful voice in the video directed by Dave Meyers. The pair sang the pop version of the song so well but we can’t forget how Celine Dion and Peabo Bryson made this song super famous. The Beauty and the Beast soundtrack is available everywhere from Friday, featuring familiar faces including Celine Dion and Josh Groban. The album also features composers Howard Ashman and Alan Menken’s original songs from the animated classic. Beauty and the Beast hits the theatres on March 17.